Will Rail Go To Manoa And Waikiki After All? The HART board may be resurrecting a route plan far more ambitious than the one submitted to federal transit officials. The board that manages the Honolulu rail project is scheduled to hold a closed-door meeting Friday to discuss extending the rail line from its currently planned terminus at Ala Moana Center to the University of Hawaii at Manoa. The extended route would also include a Waikiki branch. The planned discussion, scheduled for Friday’s board meeting of the Honolulu Authority for Rapid Transportation, comes less than three months after the Hawaii Legislature passed a $2.4 billion financing package during a special legislative session to rescue the financially strapped project. The board that oversees the Honolulu rail is scheduled to hold a closed door meeting on Friday to discuss a plan that would extend the massive rail guideways to Manoa and Waikiki. During the session, Honolulu Mayor Kirk Caldwell repeatedly questioned whether the package would be enough to pay for a line that would extend only to Ala Moana Center. Lawmakers declined to approve a more generous financial package that Caldwell sought. But now HART’s apparently thinking bigger – considering a longer route that will require buying more prime real estate for the train line and stations. “It’s so strange they’re talking about it now when they just got this money that can barely get them to Ala Moana,” said Honolulu City Councilwoman Ann Kobayashi, whose district includes Manoa, Moilili and portions of Ala Moana, where the extended line would run. Extending the rail line would likely mean another potentially enormous cost increase for a project whose price tag has ballooned from $5.121 billion in 2012 to HART’s current estimate of $9.02 billion, including $8.165 billion in capital costs. Caldwell did not respond to a request for comment. 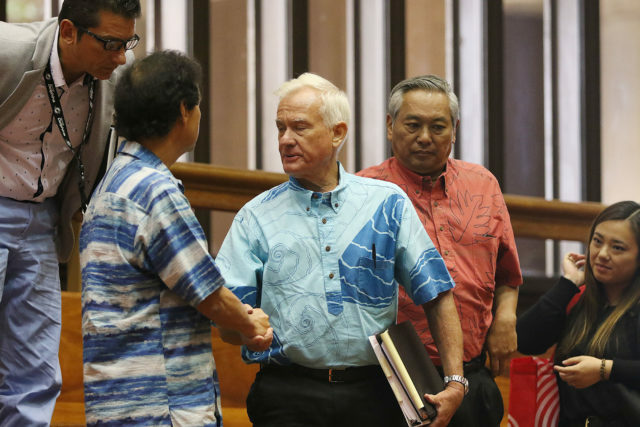 Mayor Kirk Caldwell repeatedly questioned whether a $2.4 billion funding package would be enough to pay to build the rail to Ala Moana Center. Now HART will consider going even further. HART’s Friday board meeting agenda couches its planned closed-door meeting in somewhat obscure terms. 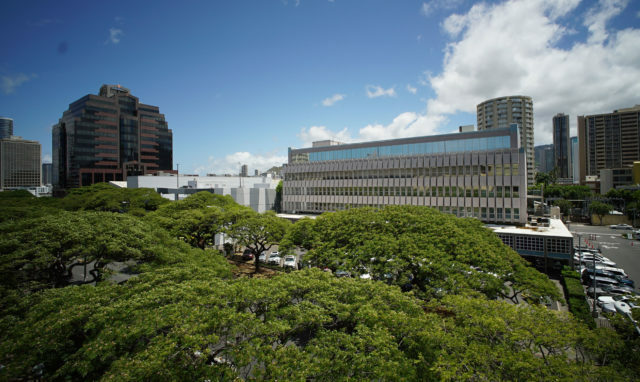 The agenda indicates the board will discuss the topic in “executive session,” bureaucratic parlance for a closed-door meeting held under an exception to Hawaii’s open meetings law. “I’m not shocked, but it is disappointing,” said Randy Roth, a retired law professor who has questioned the rail project’s financial viability. He said the additional stretch would increase project costs significantly. Kobayashi questioned not only the costs but also the aesthetic impact the highway-like, concrete rail guideway would have on Kapiolani Boulevard, a wide avenue known for ancient monkeypod trees and their green shade canopy. Salem Partners plans to build an iconic 400-foot-tall luxury condo-hotel at 1500 Kapiolani Boulevard. 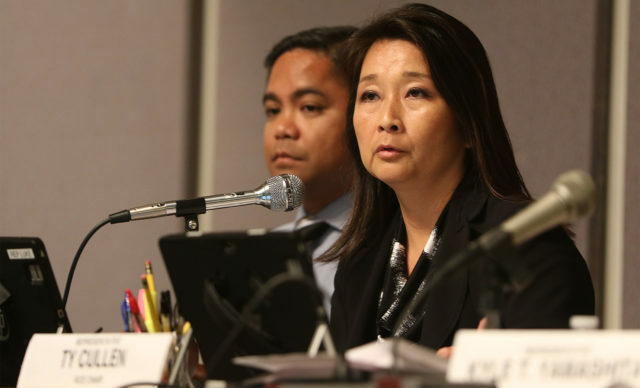 Councilwoman Ann Kobayashi wonders what the massive guideway will do to the streetscape. California-based developer Salem Partners has announced plans to invest about $1.2 billion to build two mammoth luxury condominium-hotel projects along Kapiolani near Ala Moana Center, and Kobayashi wondered whether Salem’s target market of well-heeled condo buyers will want to acquire pricey second homes next to a noisy elevated train. 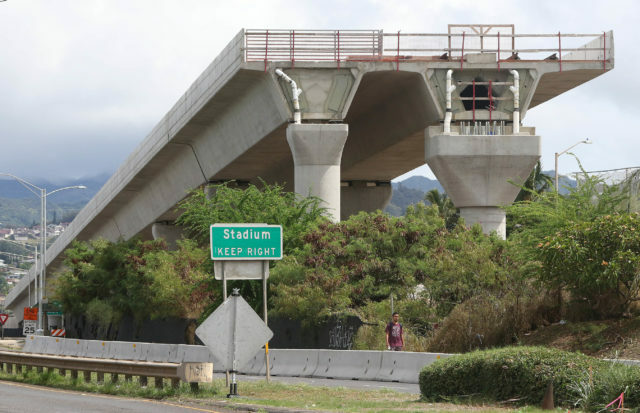 Likewise, she questioned whether a massive concrete guideway running up University Avenue to the UH campus would mar the iconic vista of the Koolau Mountains as seen from Moiliili. “They have to go 30 feet above the (H-1) freeway to get there,” she said of the train’s route to the Manoa campus. Although the route to Manoa is part of the rail’s original plan, it’s not the route on HART’s website and was not part of the recent debate on how to pay for the project. Indeed, HART’s project plan submitted to the Federal Transit Administration in September as part of an effort to secure federal funding describes the “current Locally Preferred Alternative” route as going from East Kapolei to Ala Moana Center, not Manoa. 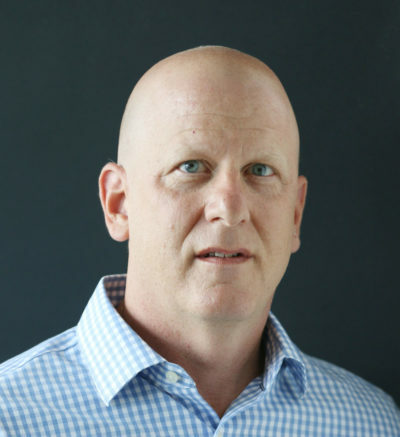 HART’s spokesman Brennan said HART erred when it submitted that information to the FTA and that the Locally Preferred Alternative is the route referred to in the 2007 Honolulu County ordinance. HART’s new funding is projected to raise approximately $2.4 billion over 13 years, roughly $1.046 billion from a 0.5 percent general excise tax charged on Oahu taxpayers and $1.3 billion from hotel guests statewide via a 1 percentage point increase in the state’s hotel room tax. The bill extends by three years the 0.5 percent general excise tax and increases the hotel room tax to 10.25 percent from 9.25 percent for 13 years. Brennan said HART would need more money for the extended line but that HART does not know how much. He noted that HART is requesting City Council authorization to study possible routes. The item as written would also give HART the authority to buy right-of-way land to preserve route corridors. House Finance Committee Chair Sylvia Luke, right, said lawmakers are going to be more aggressive overseeing the rail project. State Rep. Sylvia Luke, chair of the House Finance Committee who was an architect of the rail bailout bill, said lawmakers are now focused on seeing whether HART can be fiscally responsible. The funding bill included $1 million for the Hawaii State Auditor to conduct a sweeping audit of HART. And the funding measure includes spending oversight provisions by the state Comptroller and Department of Budget and Finance. Luke said she and her Senate counterpart, Ways and Means Committee Chairman Donovan Dela Cruz, had already met with the state auditor to discuss the audit. “We are going to be a little more aggressive now,” she said. She said lawmakers are unlikely even to think about giving HART more tax money for a longer rail line. “I think they need to prove that they can get to Ala Moana first before we even start that discussion,” Luke said.